They consist of switching devices and diodes arranged in an H-bridge configuration. Changing the pattern of switches give different voltage levels. 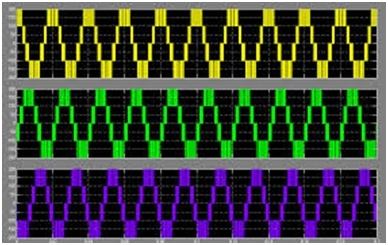 The usual inverter uses separate DC sources but another topology using only single DC source is also available. We get same switching frequencies for all the switches. Modular structure is easier to analyze. Separate DC sources are required. Diode clamped inverters are also known as neutral point inverters. They aim at converting the DC source voltage into capacitor voltage. For n levels, n-1 consecutive switches from a single phase must be turned on. For n levels, n-1 capacitors are required. Low cost and less components due to less number of capacitors. Can be operated on SDCS. For more than three levels, the charge balance gets disturbed. Also known as flying capacitor inverters (because they float with respect to earth’s potential), they use capacitors as clamping devices instead of diodes. The clamping capacitors have to be pre-charged before using them in the inverter. Only one switch out of each pair has to be in the on state necessarily to ensure the balanced configuration. 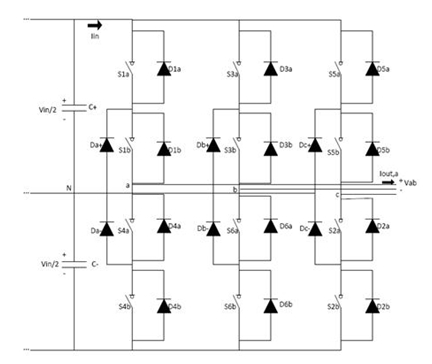 There are redundant states of switches to guarantee balanced voltages in floating capacitors. Each branch can be analyzed independently. Abbreviated as GMLI, this cell has the capability to self- balance, which the previous topologies lacked. This comes really handy while delivering active power. GMLI has two voltage level cells. Each contains two pairs of diodes and switches and one capacitor in each cell. All these cells are connected in a triangle. RVMLI is a relatively less popular topology. It first gives only half wave by sending only positive value and then by using a converter, it changes it into negative value half way through to give out a complete sine wave. Modular multilevel is a new topology and as its name suggests, its design strategy involves modules. Modular approach has been accepted as an easier and better approach by many schools. Every module consists of half bridge. Which of the topologies is the best depends, upon place where you use it and you requirements. There are many types of multi-level inverters, designed according to different applications and their uses. Some of the most important ones, which are widely used now a days will be discussed in the next article. 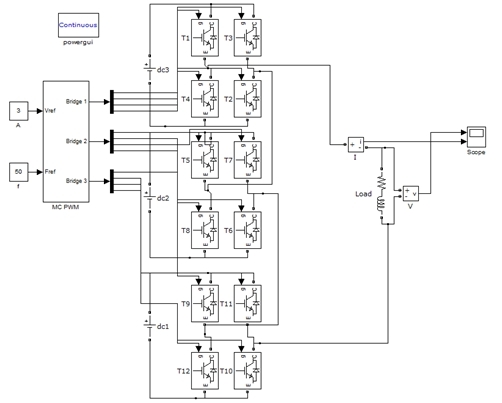 or copy this trackback: http://engineering.electrical-equipment.org/electrical-distribution/multilevel-inverter-topologies.html/trackback from your own site. Assallamoallankum, I have been reading articles written by different members but i am sorry to say that the writer do justice with neither reader nor the article itself because most of the requisite details to under stand what the author want to convey to reader are found missing. I hope, members will not mind it . It is a simple suggestion so that in future when any one who will write an article on any electrical top will definitely add all details, to it make more beneficial for the reader .